This is your new go-to camera. 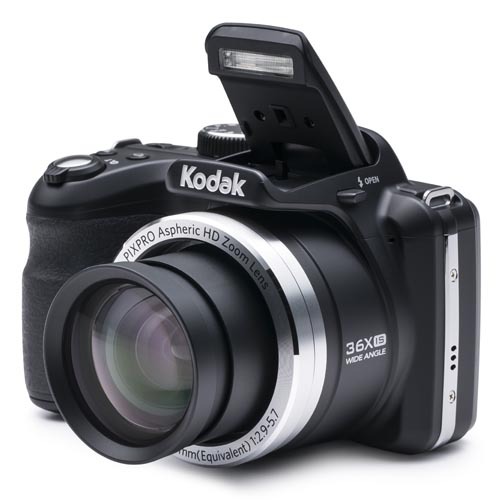 Versatile, powerful and economical, the KODAK PIXPRO AZ361 has everything you need to take photos to the next level—right from the first time you use it. The 36x optical zoom gets you nice and close, and the super wide angle 24mm lens gets you more out of every shot. All while the 16MP CCD sensor provides the pixels you need for big, beautiful, frameable photos.